If you’re looking to save on a vehicle from our New, Used or Demo Isuzu UTE range, make sure you visit our Indooroopilly dealership today. 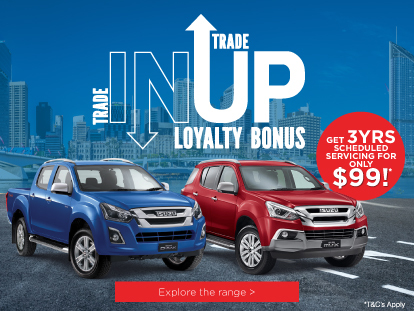 At Westpoint Isuzu UTE, we’re committed to keeping our customers up-to-date with the latest Isuzu UTE Offers, as well as offering additional specials, that are exclusive to our Isuzu UTE dealership. View our current dealership specials online now. For more information, please don’t hesitate to Contact Us today.